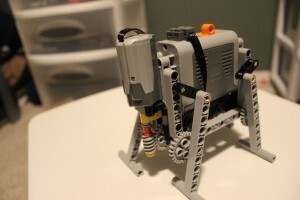 With LEGO power functions and a few gears, it’s fairly easy to make a four-leg walker. 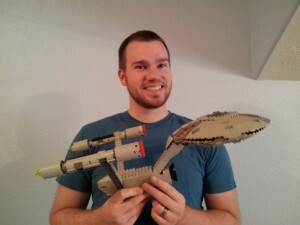 For this walker, I used the battery box as the body, and made a head out of a medium motor. 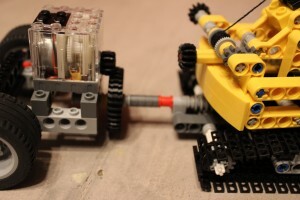 I connected a worm screw to the motor pointing towards the ground. I built a basic frame going down kind of parallel to the motor, and then going at a right angle parallel to the battery box. 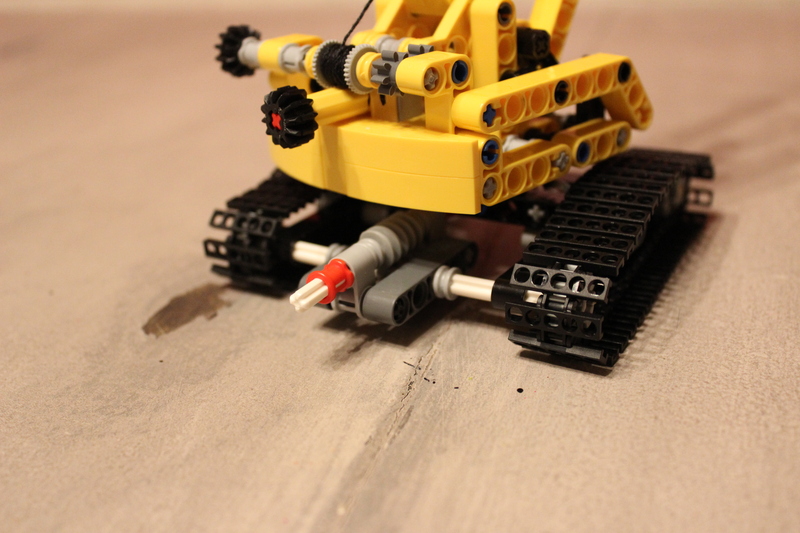 Next to the worm screw, I placed a 24-tooth gear. This could be swapped out for a different gear if you want to experiment with power and speed. 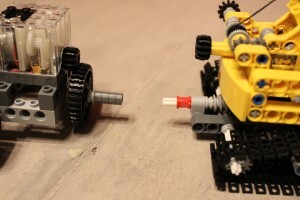 The gear that is adjacent to the worm screw is on an axel that has two other gears on it. These gears are on the outside of the frame. These have pins in one of the off-center holes, that also connect to the “legs” of the walker. 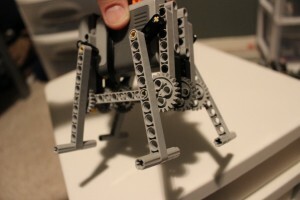 The legs of the walker are further connected to a small piece (a black three-length piece in the pictures) that can swivel as the legs move up and down. 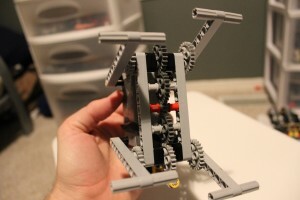 The interaction between this swivel and the rotating gear is what causes the legs to move up and down. 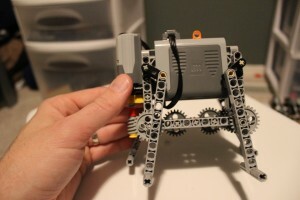 Changing the distance between these pieces and/or the length of each or size of the gear will change how the legs move. 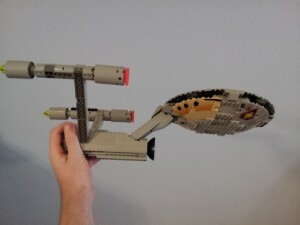 I made all four legs similar, so that they all rotated the same distance. Another important thing to remember with the legs, is that the timing needs to be calibrated so that the legs move correctly in relation to each other. 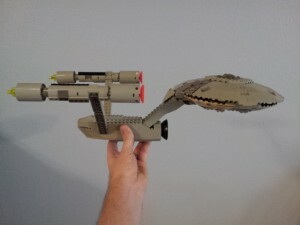 You can look at the video for a better picture of this — it will likely take some experimentation. 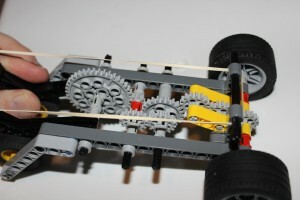 In order to drive the rear legs, I placed gears all the way along the length of the frame. 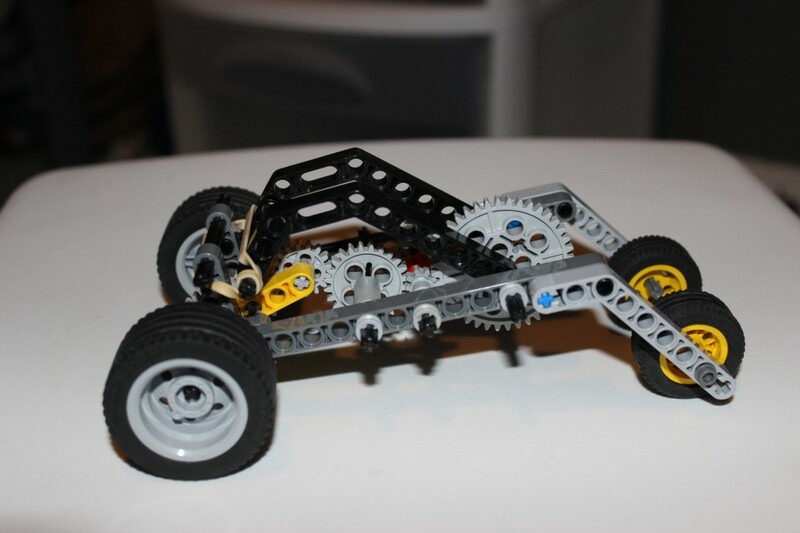 I used an odd number of gears (five) so that the front gears and the back gears rotate the same direction. 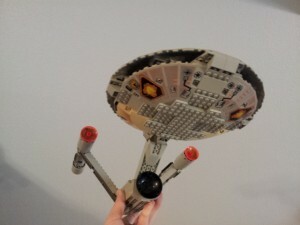 Finally, note the “feet” at the bottom. 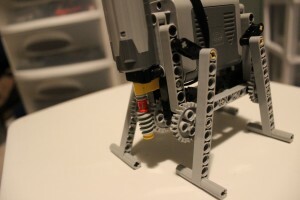 The walker should be able to balance on two feet at a time. That way two feet can hold it steady while the other two fit lift up and advance forward. 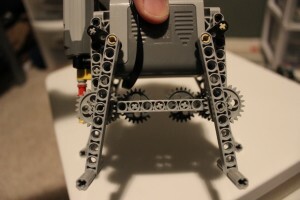 The feet on this walker are wide so that the center of gravity falls somewhere between the two feet that are on the ground (front right and rear left, or front left and rear right). 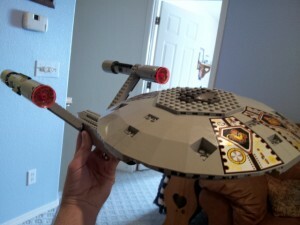 This entry was posted in Power Functions, Technic, Walkers on January 5, 2013 by lego. 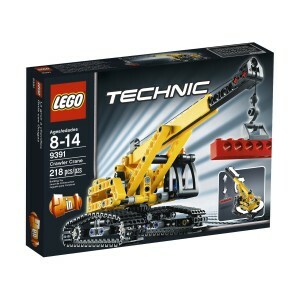 The Technic Tracked Crane (9391) is a great, inexpensive Technic set, but it doesn’t have any power. I wanted to do a simple mod to make the tracks spin. 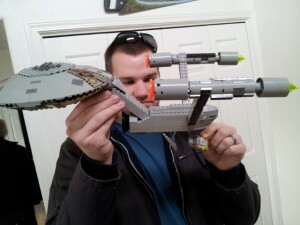 Getting power to it is fairly easy if you’re willing to include the trailer. 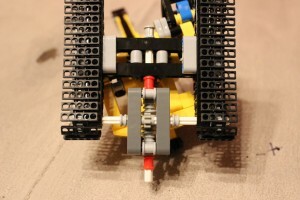 This method replaces the axle that rotates the upper portion with an axle that drives the tracks. 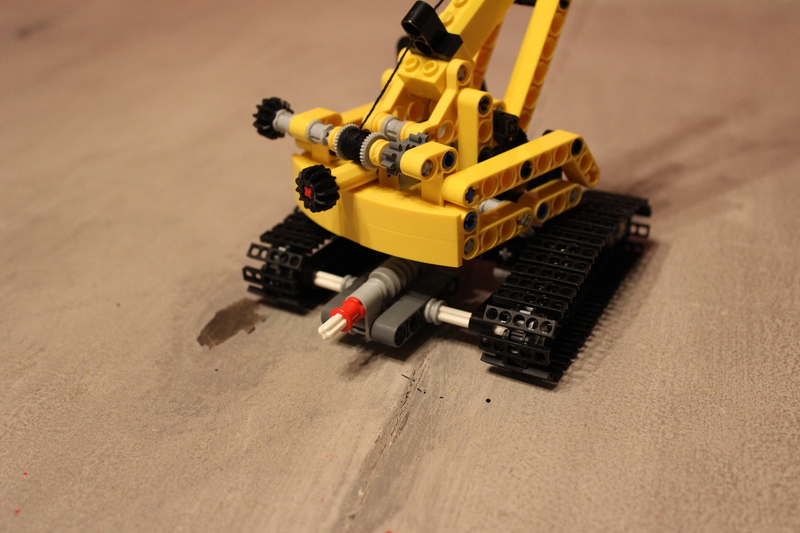 The first step is modifying the Tracked Crane so that the tracks can be driven and a trailer can attach to it. 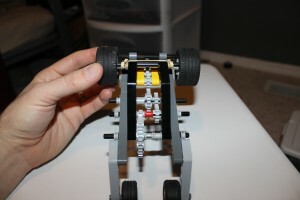 First just replace the axle on the very bottom that runs parallel to the tracks with a longer one. 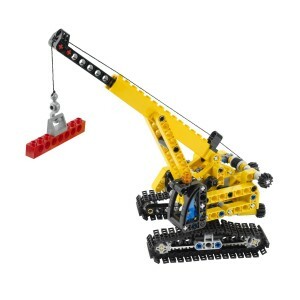 You’ll probably also want to get rid of the black gear that spins the top portion of the crane (since this gear will constantly turn). 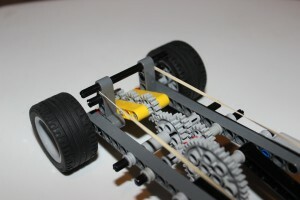 Next attach a worm screw to the axle. 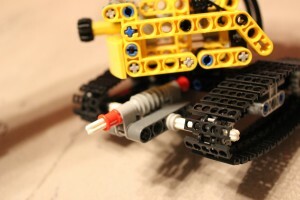 Now take another axle and place it across the tracks to connect the back gear on each track to each other. 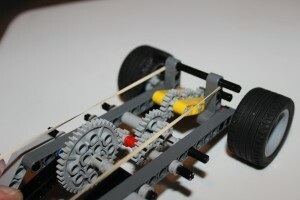 On this axle, attach an 8 tooth gear which will be driven by the worm screw. 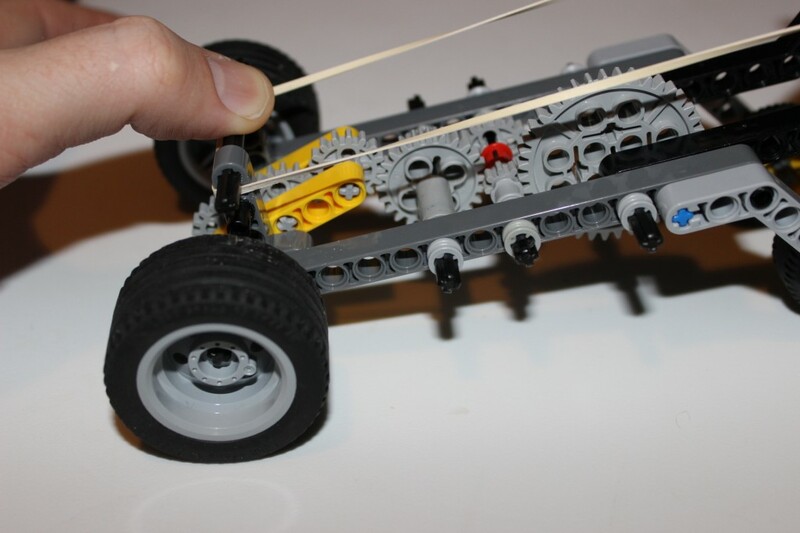 You may need to firm up the axles with some other pieces. 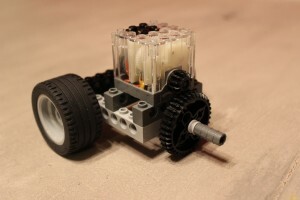 Finally, make a little trailer with a motor on it that can connect to the first axle. 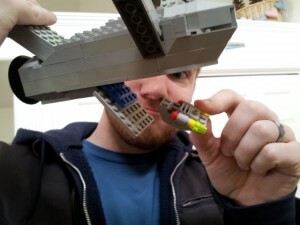 The only important thing here is that you make the connection the same height as the axle you’re connecting to on the crane. You may use a different motor than the one I used. 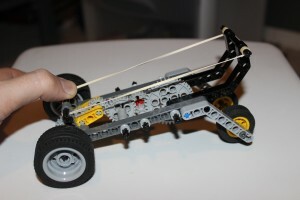 Connect the trailer to the crane and you’re ready to roll (literally)! 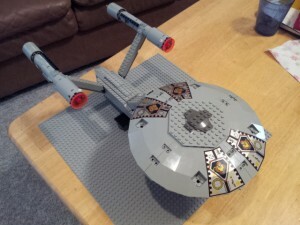 This entry was posted in Modifications to Sets, Power Functions, Technic, Vehicles on January 4, 2013 by lego.